Winter Watch’s main post on the highly underestimated effect of the assassination of U.S. President William McKinley is available here. In the main post, we examine the possibility that the assassination was a conspiracy carried out by international bankers utilizing one of their favorite tools: radical anarchists — and specifically, those associated with Emma Goldman. President William McKinley (1843-1901) was a strong proponent of sound money. He opposed central banking and utilized protectionism for American goods. 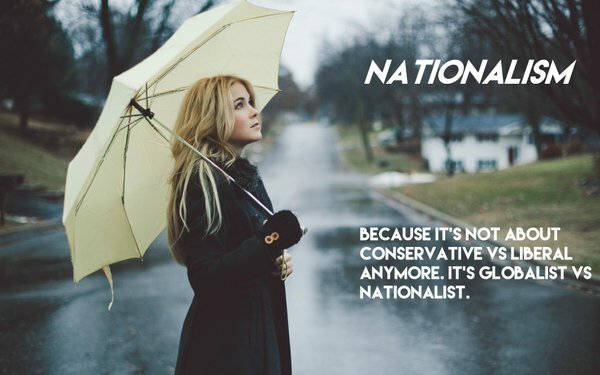 McKinley could also be characterized as an America First nationalist, as opposed to an internationalist. At age 58, this highly popular and capable Republican president from Ohio would have been a powerful influence over the subsequent 15 years in blocking the plans of the Crime Syndicate in implementing central banking, their expanding power over the financial sector and warmongering. 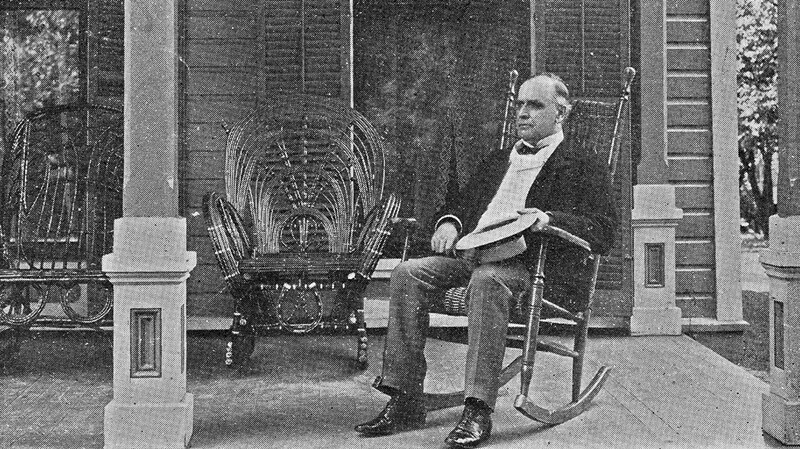 President McKinley on the front porch of his home in Ohio. In this sequel post, we examine an important bankster-operative mole within McKinley’s administration: one George Cortelyou (1862-1940), who was McKinley’s personal secretary. A century ago, a personal secretary was effectively the equivalent of a chief of staff today. Cortelyou hailed from New York City and started his career as a bureaucrat in the U.S. Postal Service. His mentor was Wilson Bissell (1847-1903), a New York Democrat, political kingpin and Postmaster General during President Grover Cleveland’s second term (1893-1897). Bissell was a member of Yale’s Skull and Bones and practiced law out of Buffalo. His law partner was the future President Cleveland. Bissell’s older brother, Arthur Douglas Bissell, was the president of the New York State Bankers Association and president of the People’s Bank of Buffalo. In the politics of the era, Democrat President Cleveland was part of the “Eastern Establishment” and was influenced by bankster and oligarch interests. The counter movement within the Democrat Party was led by the anti-plutocratic William Jennings Bryan. Wilson Bissell recommended Cortelyou to serve as President Cleveland’s assistant secretary aka chief clerk. Democrat Cleveland in turn recommended Cortelyou to Republican President McKinley. Net net, the Buffalo, New York, assassination of McKinley in 1901 was a literal spook-like template for the Dallas, Texas, assassination of President John F. Kennedy in 1963. If you believe in the false “incompetence” meme or Hanlan’s Razor — meaning that malice can usually be explained away as incompetency — then there is no need to read further, because Cortelyou was on hand every step of the way with the bad decisions leading to McKinley’s death. The head of the Buffalo Exposition, Louis Babcock, was made nervous by a joke at lunch in an exposition restaurant that the president might be shot during the reception. He and Comedy of Errors Cortelyou then arranged for a dozen artillerymen to attend the reception in full-dress uniform — and he had them stand in the aisles. These men were not trained in police work and served to crowd the area in front of the president and obstruct the view of detectives and the Secret Service. Part of the reason for bringing McKinley to the fair was to swell the gate receipts; thus, the popular president’s visit was heavily advertised. Although Cortelyou did nothing to prevent this promotion; after the assassination, a doth-protest-too-loudly backstory was developed that Cortelyou disliked the reception location at the Temple of Music. Supposedly concerned for the president’s security, he twice tried to remove it from the program. But McKinley went ahead and arrived just on time, glanced at the arrangements and walked over to his place, where he stood with Milburn (owner of the house where McKinley died) on his left and Cortelyou on his right. The assassination by Leon Czolgosz was relatively easy. Instead of getting the president to a real hospital, Cortelyou managed to get him into the poorly provisioned medical room at the Exposition. Even though the POTUS was at the fair, the best surgeon in the city was the Exposition’s medical director, Dr. Roswell Park, who was away in Niagara Falls performing a neck operation. When interrupted during the procedure on Sept. 6 and told he was needed in Buffalo, he responded that he could not leave, not even for the president of the United States. The first physician to arrive at the medical room was Dr. Herman Mynter. With Park unavailable and with the fading afternoon light (the major source of illumination in the operating room), another surgeon, Dr. Matthew D. Mann, arrived to assist. The decision was made to operate at once to try to remove the remaining bullet. Mann was a gynecologist with no experience in trauma surgery. Mann’s work has been widely criticized as medical malpractice. The surgery made an incision in the president’s skin, and found and removed a small piece of cloth that was embedded in the flesh. Mann probed with his finger and hand, finding damage to the digestive system — the stomach displayed both an entry and exit wound. He sewed up both holes in the organ, but could not find the bullet itself. He concluded it had lodged in the president’s back muscles. A primitive X-ray machine was on display at the fair but was not used on McKinley. Mann later stated that its use might have disturbed the patient and done little good. Milburn’s residence — aka somebody’s idea of a post-shooting wound-recovery facility. Rather than being removed to a proper hospital, Cortelyou arranged for McKinley to be taken to the nearby home of John Milburn (1851-1930) to convalesce — or, in reality, to die. Milburn, a friend of Grover Cleveland, was a prominent attorney who represented many high-profile clients, including Standard Oil, the New York Stock Exchange and the Metropolitan Street Railway. He also later served as president of the New York City Bar Association. Meanwhile, the same crew of Buffalo doctors (Mynter and Mann) continued to attend McKinley. The main issue the patient faced was gangrene from the failure to track the bullet path and find the round. To deal with this, an X-ray machine, accompanied by a trained operator, was sent by its inventor, Thomas Edison. However, it was not used on the president on orders of the doctors in charge of McKinley’s case. Following a week of more neglect, in the early morning of Sept. 13, McKinley suffered a collapse. By 2:15 a.m. on the 14th, he was dead. As the autopsy would reveal, gangrene was growing on the walls of his stomach and toxins were passing into his blood. The same curious crew of Mynter and Mann also handled the autopsy — and they still couldn’t find the bullet. Under McKinley’s successor, Republican VP Theodore Roosevelt of New York, Cortelyou became U.S. Secretary of Commerce and Labor in 1903. He left that position in 1904 to become the Chairman of the Republican National Committee. Then, starting in 1905, he also served as the Postmaster General. He left both of those positions to become the U.S. Secretary of the Treasury in 1907 — just in time for the Panic of 1907. In our view, the 1907 Panic was contrived and set up so that J.P. Morgan could be hailed as “savior of Wall Street” and thus the economy. It was also a Parasite Guild looting operation. As the banking crisis spread, U.S. Treasury Sec. Cortelyou’s master, J.P Morgan, summoned him to New York to “work by the financier’s side.” The Treasury had already deposited $5 million in banks there to shore them up. But by law, the government could only deposit government funds in national banks, such as JP Morgan Bank. It was the trust companies and state banks that were in trouble. Sly J.P. Morgan instructed Cortelyou to up the ante and deposit $35 million in national banks. Morgan then had the time-tested “other people’s money” on the hook in which to pick the winners and losers and engage in bargain hunting and looting. Along the way, he instructed the international banksters to loan the money to the trust companies and state banks. The panic ended. The rest, as the saying goes, is history. Afterward, servile mole Cortelyou lobbied hard for the creation of the Federal Reserve Bank in 1913. Not sure how many folk in America have read about the American Holodomor that happened when the Jewish Banking Criminals pulled the plug on their fake usury scam which caused the Great Depression, but here it is. The researcher, Boris Borisov, in his article titled “The American Famine” estimated the victims of the financial crisis in the US at over 7 million people. The researcher also directly compared the US events of 1932-1933 with Holodomor, or Famine, in the USSR during 1932-1933. In the article, Borisov used the official data of the US Census Bureau. Having revised the number of the US population, birth and date rates, immigration and emigration, the researcher came to conclusion that the United States lost over 7 million people during the famine of 1932-1933. “According to the US statistics, the US lost not less than 8 million 553 thousand people from 1931 to 1940. Afterwards, population growth indices change twice instantly exactly between 1930-1931: the indices drop and stay on the same level for ten years. There can no explanation to this phenomenon found in the extensive text of the report by the US Department of Commerce “Statistical Abstract of the United States,” the author wrote. Analyzing the period of the Great Depression in the USA, the author notes a remarkable similarity with events taking place in the USSR during the 1930s. He even introduced a new term for the USA – defarming – an analogue to dispossession of wealthy farmers in the Soviet Union. So-called public works introduced by President Roosevelt became a salvation for a huge number of jobless and landless Americans. However, the salvation was only a phantom, Boris Borisov wrote. The works conducted under the aegis of the Public Works Admin. and the Civil Works Administration were about building channels, roads or bridges in remote, wild and dangerous territories. Up to 3.3 million people were involved in those works at a time, whereas the total number of people amounted to 8.5 million, not to count prisoners. The conditions, under which people were working for food, could be compared to Stalin’s GULAG camp. “The Public Works Administration (PWA) bore a striking resemblance to GULAG. The PWA was chaired by “American Beria,” the Secretary of Interior Affairs, Harold Ickes, who threw about 2 million people into camps for the unemployed youth,” Borisov wrote. “Harold LeClair Ickes (1874–1952) later interned USA’s ethnic Japanese in concentration camps. The first stage of the operation took only 72 hours (1941-1942). The panic of 1907 netted tens of thousands of American farms and businesses for the banking cartel, but it had wider international effects as well. Japan and Russia had concluded the Russo-Japanese war with the Treaty of Portsmouth, which was dictated by Roosevelt. This treaty divided the island of Sahkalin in half, thus creating a land border with Russia and therefore a potential future point of conflict with the worlds largest army. Japanese patriots were naturally extremely unhappy with this evil treaty, but Japan was staggering under a heavy load of debt from the war, and when Rothschild turned the screws, Japans economy began to collapse under the strain, thus bringing the Japanese to heel. Russia was in the same economic state as Japan, with a much greater degree of social unrest. The bankers embargoed all credits to Russia, with the object of forcing the Russian leadership to agree to a future war in Europe. The resulting conflict was a disaster for European civilization, but an incredible windfall for the Jews who planned the war.